Textile agent Gareth Crowe popped into the bespoke shop to show us some new cloth and have a quick chat with us. I am a UK textile agent, my role is to represent Loro Piana in the UK. I ensure the tailors see the new ranges of cloth and that I am of help to them at all times. As I am freelance I work independently but I am currently employed by Loro Piana. I started at 16, my first job was in a tailor’s shop in Cork Street; I was trimming, undercutting and striking out. I had managed to get the interview through Burlington Arcade not ever knowing this part of London before. 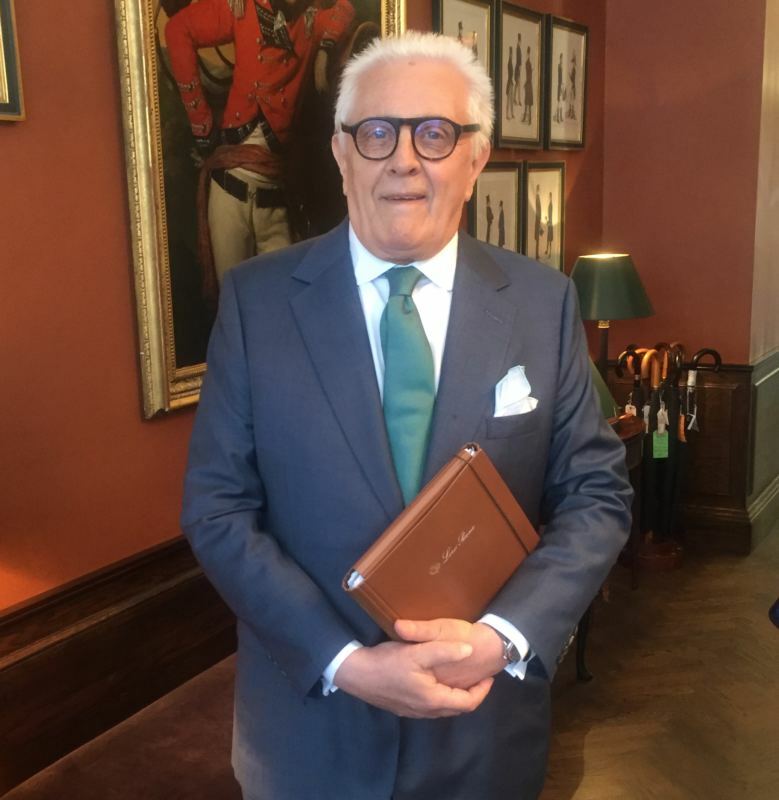 That was my first step in the industry and I have been here for 55 years working all over, from managing Gieves and Hawkes tailoring department, working at Turnball & Asser, Scabal and Hunters of Brora. I have been with Loro Piana for the past sixteen years and it has been fantastic, the quality of their product and service is exceptional. 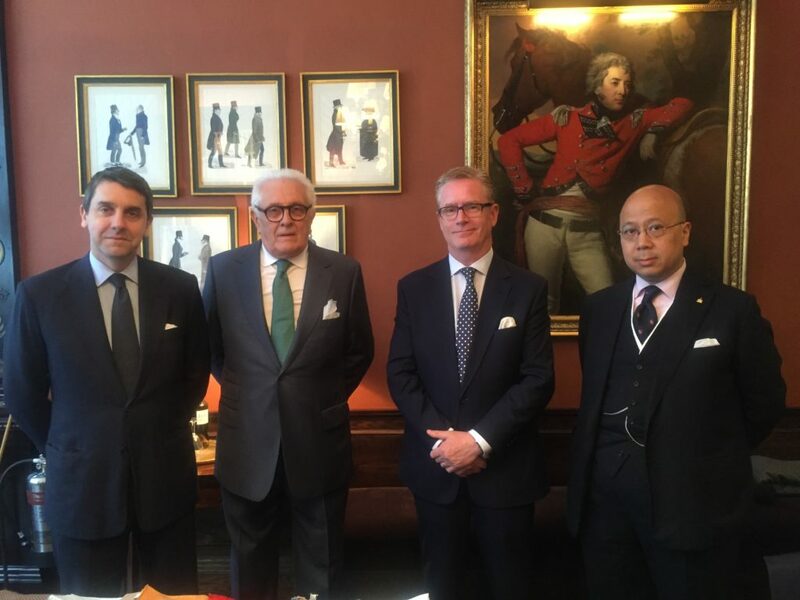 Just Loro Piana at the moment, I was the first person to introduce them to the UK tailors. I think they had tried before with Italian agents but it wasn’t as successful. 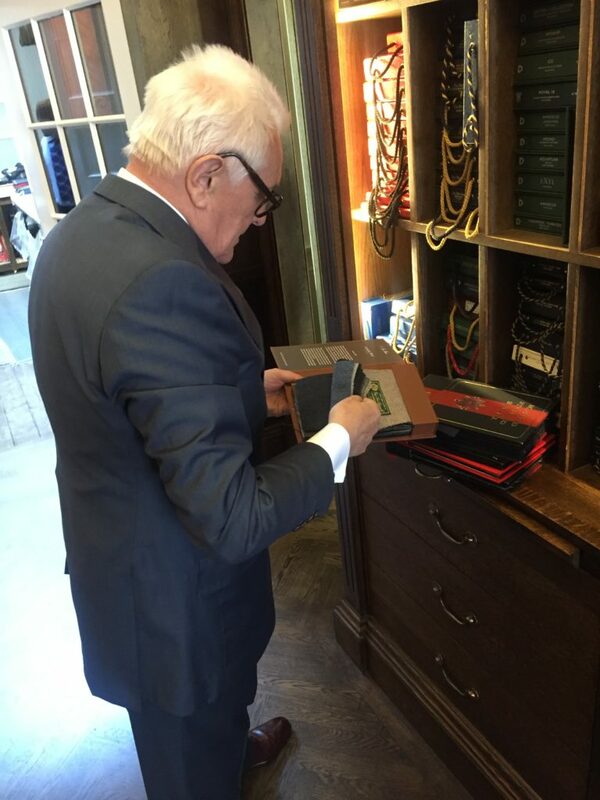 I understood the tradition of Savile Row and have been here for so long so the relationships I have of course helped me. 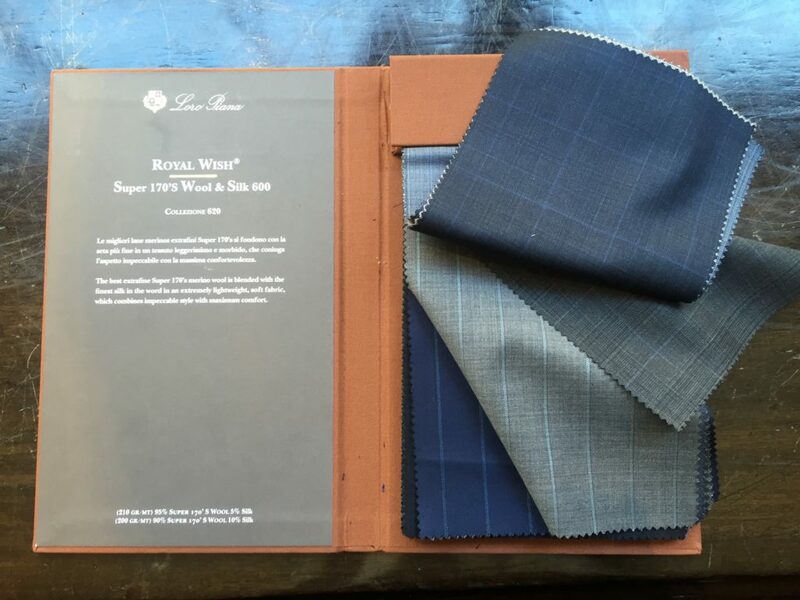 I had always had an interest in the Loro Piana cloth; I was working at Hunter of Brora and the managing director there at the time was a good friend and he advised me to go for a job at Loro Piana. Hunters of Brora wrote a letter to them on behalf of me and next thing you know I was flying out to Italy for an interview. How has the trade changed over the years? Well in the old days if you went into another shop and you saw another rep you wouldn’t dare go in, you would let them finish and come back later. Today that wouldn’t be a problem, there is a shared recognition that everybody has their own niche and we all respect that. We know what we do and what we sell; I would say it is much easier now. Of course one of the main changes over the years has been in the bunches; when I first came into the trade there were hardly any bunches and tailors would stock in cloth in house. I can certainly say that there has been a big change in the way people dress; it is much more casual now. Reps years ago would all wear bowler hats in winter and panama hats in the summer and definitely always wear a tie, that’s all gone now. Introducing new fabrics and talking to people; I get energy from interacting with others. I have been in the business such a long time and all the people here are so great, certain things have changed but the feeling of community still remains.